Carlos Lopez-Cantera is the 19th Lieutenant Governor of Florida. Carlos Lopez-Cantera was born in Madrid, Spain on December 29, 1973. He was born two months premature and was returned to his intended birthplace of Miami, Florida once he was healthy enough to travel. Lopez-Cantera graduated from Miami-Dade College and continued his studies at the University of Miami, where he graduated with a degree in Business Administration. From 2004 through 2012, Carlos served as a member of the Florida House of Representatives. Over the course of his 8-year term in the Legislature, Carlos served as a member of the Governor’s Property Tax Reform Committee, the My Safe Florida Home Advisory Council and the Miami-Dade County Mayor’s Mortgage Fraud Task Force. In the Florida House of Representatives, he chaired the Committee on Business Regulation and the Government Affairs Committee. Carlos served as Majority Whip from 2009 through 2010 and as the Majority Leader of the Florida House of Representatives during the final two years of his term from 2010 through 2012. In August 2012, the citizens of Miami-Dade County elected Carlos Lopez-Cantera as the Property Appraiser of Miami-Dade County. Carlos campaigned on a platform to make interaction with the office of the property appraiser easier, increasing community outreach and being more responsive to the needs of the residents of Miami-Dade. 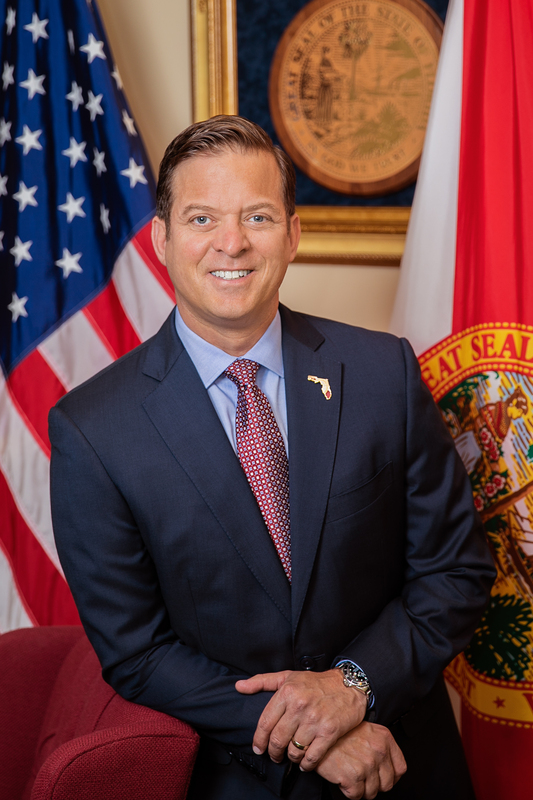 Carlos Lopez-Cantera was appointed as Lieutenant Governor on January 14, 2014, and officially began serving on February 3, 2014. He is the first Hispanic to hold this position in Florida. Carlos has been married to his wife Renee since 2005 and they have two young daughters.